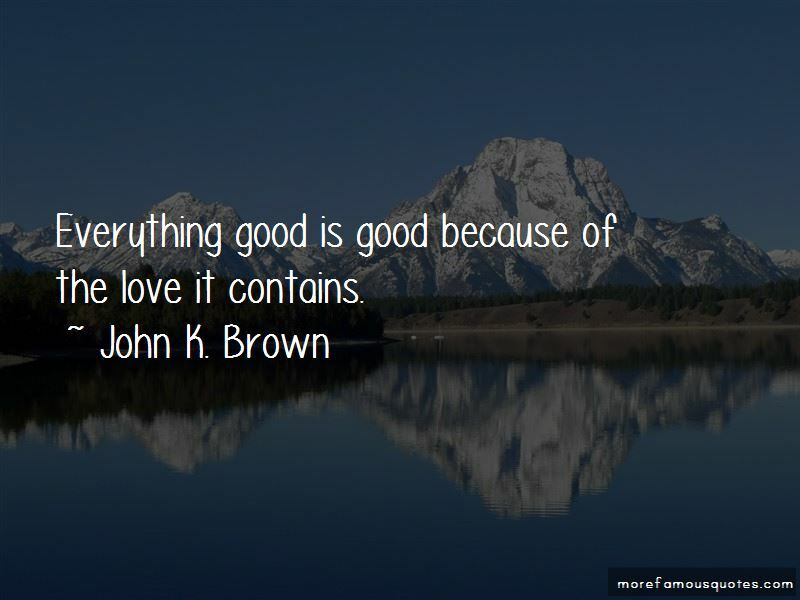 Enjoy the top 11 famous quotes, sayings and quotations by John K. Brown. All three explanations-eternal life, reincarnation, and nothingness-are descriptions of the same reality. 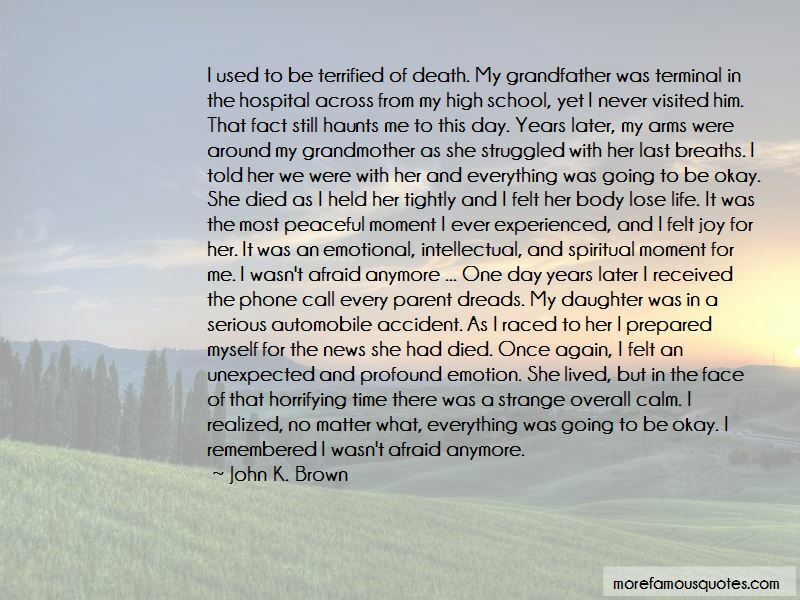 I used to be terrified of death. My grandfather was terminal in the hospital across from my high school, yet I never visited him. That fact still haunts me to this day. Years later, my arms were around my grandmother as she struggled with her last breaths. I told her we were with her and everything was going to be okay. She died as I held her tightly and I felt her body lose life. It was the most peaceful moment I ever experienced, and I felt joy for her. It was an emotional, intellectual, and spiritual moment for me. I wasn't afraid anymore ... One day years later I received the phone call every parent dreads. My daughter was in a serious automobile accident. As I raced to her I prepared myself for the news she had died. Once again, I felt an unexpected and profound emotion. She lived, but in the face of that horrifying time there was a strange overall calm. I realized, no matter what, everything was going to be okay. I remembered I wasn't afraid anymore. Love isn't self-centered, even at the supreme scale. Everything good is good because of the love it contains. Metagapism is the belief that love is the ultimate reality, literally god and the one shared soul, and the source, nature and destiny of all. 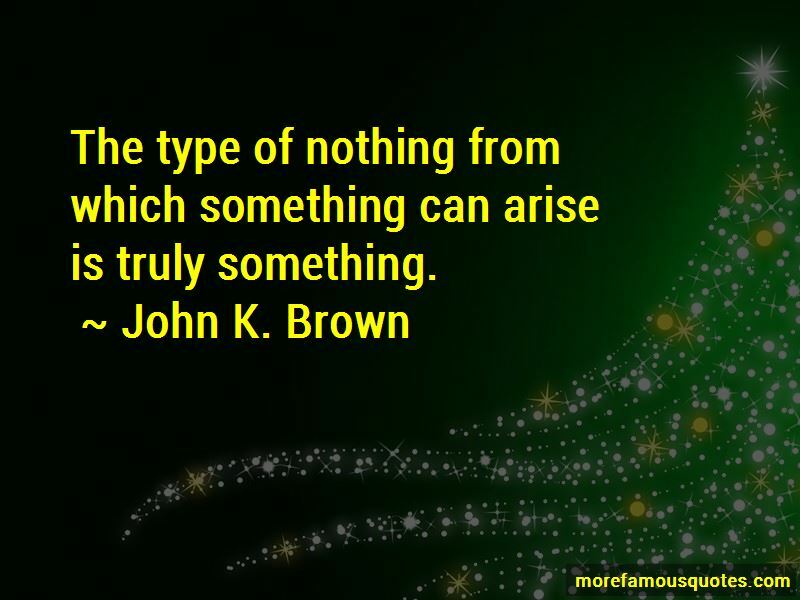 Want to see more pictures of John K. Brown quotes? 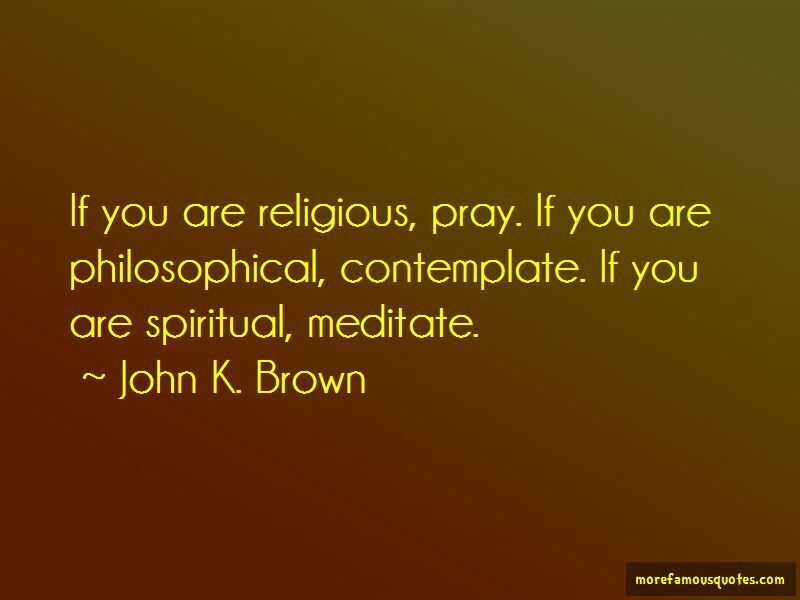 Click on image of John K. Brown quotes to view full size.